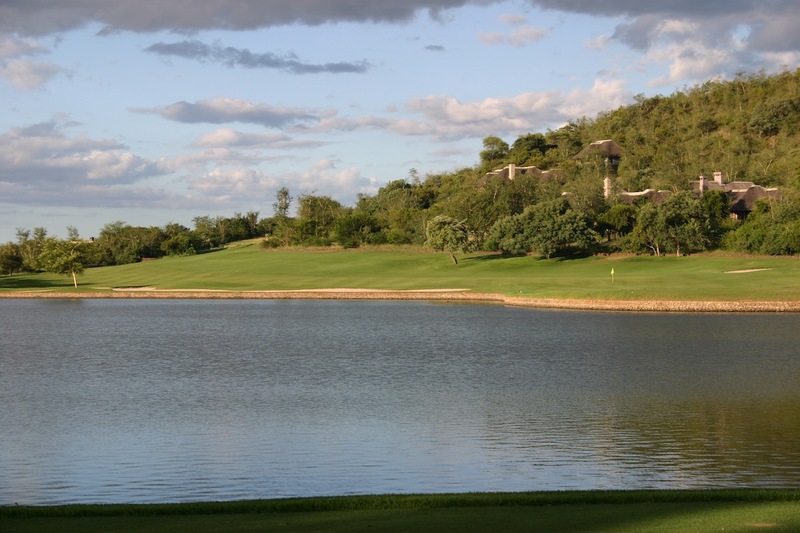 A private club with a small invitation-only membership, Leopard Creek was the brainchild of billionaire business entrepreneur Johann Rupert. Incorporating a prestige residential component, the 360-hectare development is located on the southern perimeter of the world famous Kruger National Park near Malelane in Mpumalanga and is bordered to the north and west by Crocodile River. 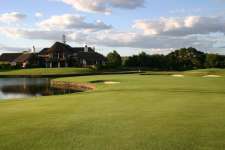 A quality high-end golf experience that will seduce most visitors with its pristine playing surfaces, luxury thatched roof clubhouse and dramatic design, Leopard Creek is much more than just glitz and glamour with some exceptional resort golf in a uniquely African environment. 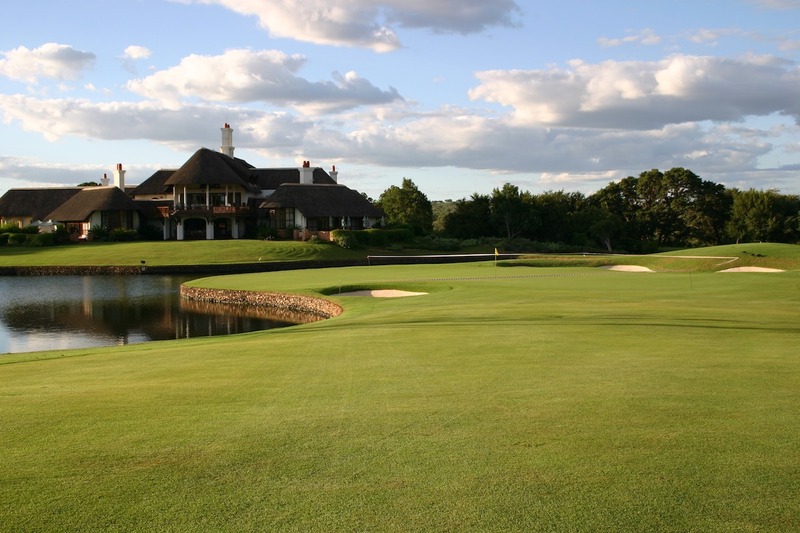 Originally designed by Gary Player, the course was radically overhauled a few years after opening following advice from one of its members and residents, Jack Nicklaus. Where Player had typically built up his greens, tees and bunkers, Nicklaus suggested they be lowered to look more natural. Aside from flat waterside greens on the front nine par threes, which are a touch featureless, his changes are impressive and a major improvement to the layout. 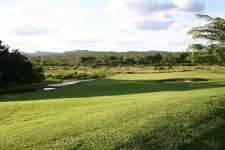 Around the same time the club also removed a wall behind the 13th green to open up the views over Crocodile River and into the vastness of Kruger, which was a real masterstroke as it allowed golfers to watch the wildlife while they waited to putt. The most surprising aspect of Leopard Creek, apart from its captivating setting, is how strategic some of the two-shot holes are. 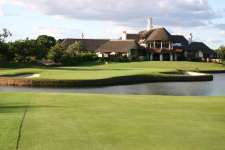 Both the 4th and the tempting 6th are very good as are signature holes like the twinned 9th and 18th which share a crocodile infested pond and demand thrilling all-carry approach shots into their greens. 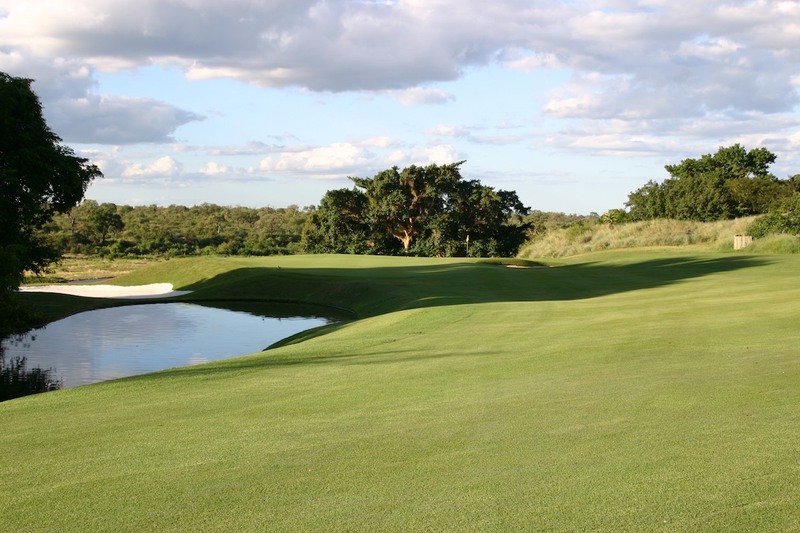 The dogleg 13th across and then along a diagonal creek toward the National Park is a fine risk-reward hole for the average handicapper, while the left-bending 1st hole and the tough narrow 17th both have nice chase-in green entrances. The 8th green, with the front left side of its kidney shape falling away sharply, is yet another treat. From a negative perspective, the 180 degree teeing area at the par three 16th is a little over the top and the turf could do without the two adult Giraffe strutting around the property, but otherwise the club’s wealthy owner has done well to show restraint here. Leopard Creek is by no means simply an expensive resort but rather a quality American style target golf course in superb settings that is full of exciting shots to play. 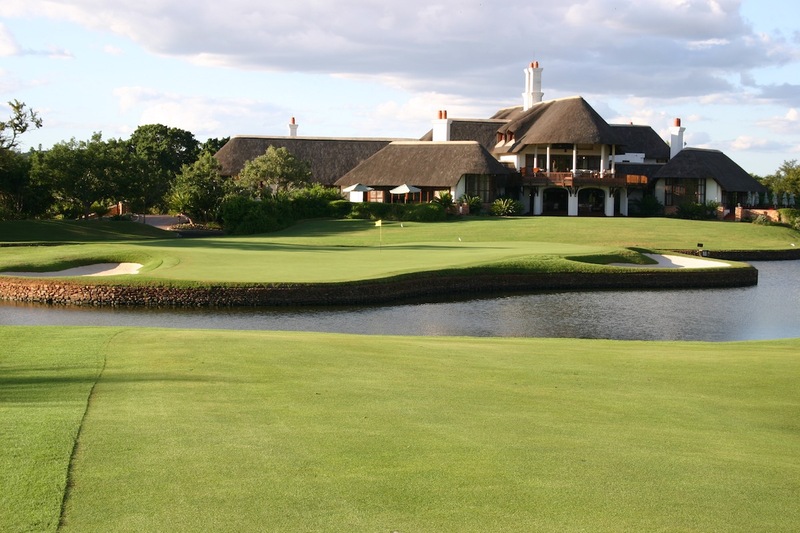 The fact that Africa’s incredible wildlife roam within your general vicinity as you play adds to the allure of a round here. Indeed it is the entire Leopard Creek experience that we highly recommend. 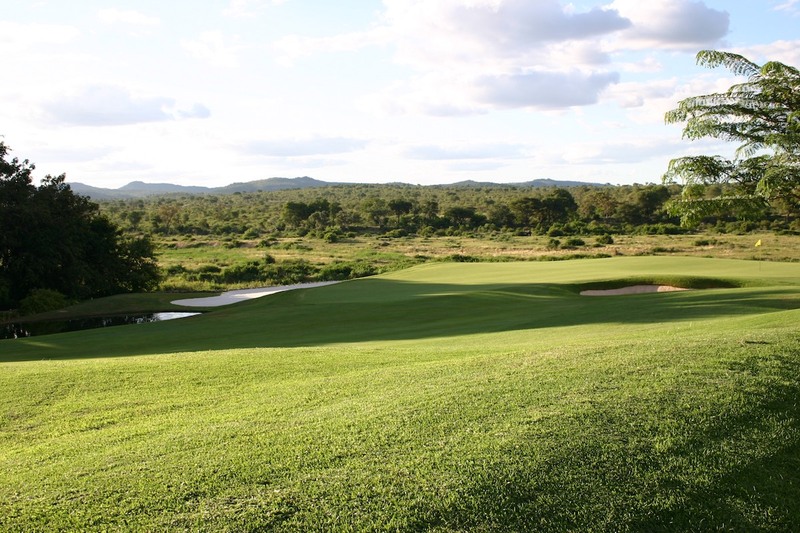 From the immaculate golf course and old-world clubhouse to the brilliant on-site hotel and life changing experience of an early morning journey through the Kruger National Park, this is quite a golf destination.